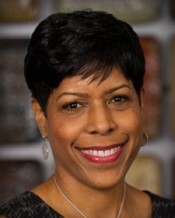 Dr. Love-Walker was born in Columbus, OH and is a graduate of Westerville North High School. She earned a Bachelor’s of Science in Pre-Med/Biology with a concentration in psychology from Denison University in Granville, OH. She completed college in three and a half years and earned her medical degree from Wright State University School of Medicine in Dayton, OH. She completed her internship at Riverside Methodist Hospital, and her residency at Mt. Carmel Health in Internal Medicine. She has served as teaching faculty for a number of years at Mt. Carmel Health, and is an Assistant Clinical Professor in the department of Internal Medicine at The Ohio State University where she has served as an attending and a mentor to many 3rd and 4th year medical students. Dr. Love-Walker was a senior partner and medical director at her previous practices. Currently, she is president and CEO of her solo concierge, Internal Medicine practice in Columbus, Your Private MD. With her new practice, she is able to provide a different doctor-patient experience which allows for more time with each patient, making sure patients are educated about their health, and dialogue is encouraged. She is excited to be able to act as her patient’s personal healthcare advocate. Dr. Love-Walker focuses not only on disease management, but actively promotes overall health and wellness. Dr. Love-Walker often shares the message of the importance of early screening for disease, staying fit and living healthy to all of her patients, and to the community at large. She is an Ambassador to End Stroke with the American Heart Association, and is a strong supporter of the fight against breast cancer, heart disease and diabetes. She is married to Doug Walker and is the mother of two teens. Dr. Love-Walker is actively involved in many community activities including the New Albany Women’s Network, Gahanna and New Albany Chambers, National Association of Women Business Owners, and Delta Sigma Theta Sorority, Inc. She is also a contributing writer each month to the Columbus African American News Journal. In her spare time, Dr. Love-Walker enjoys bicycling, reading, vacationing with her family, and relaxing with a good book—oceanside. Dr. Gina Love-Walker is a board certified medical doctor in Internal Medicine. She completed her undergraduate degree from Denison University, medical degree from Wright State University, and her residency from Riverside Methodist and Mt. Carmel Hospitals. Learn more.